Layering two SPF does not add up to a higher level of protection. Using an SPF8 and SPF15 together won’t allow you to remain in the sun 23 times longer than without protection. It’s not additive, and you should always aim for a higher SPF rather than a lower one to be sun safe. The table below shows the level of protection you can expect from different SPF products, but please remember these are a general guide only and protection can vary based on application, outdoor conditions and physical activity. You need to determine how long you’ll be in the sun, along with your skin type, and choose the appropriate SPF level for you.  SPF stands for ‘sun protection factor’ and is a measure of how well a sun screen product protects the skin from UV radiation compared to unprotected skin. 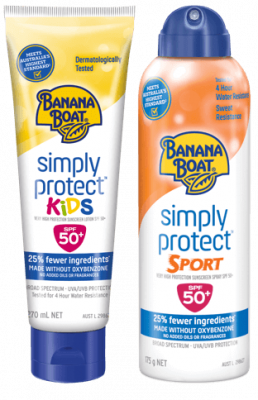 Broad spectrum sunscreens, like Banana Boat, protect against both UVA and UVB radiation. You can learn more about the different kind of UV light here. While we need Vitamin D, that doesn’t mean you should avoid sunscreen.